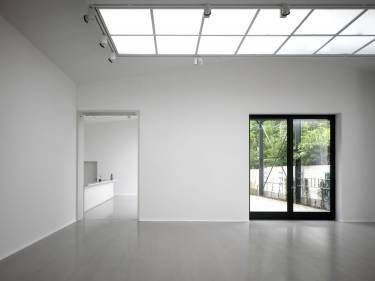 This former machine factory was an ideal space for a contemporary art gallery, since it was characterized by very high ceilings with long, north-facing skylights and large column-free spaces. 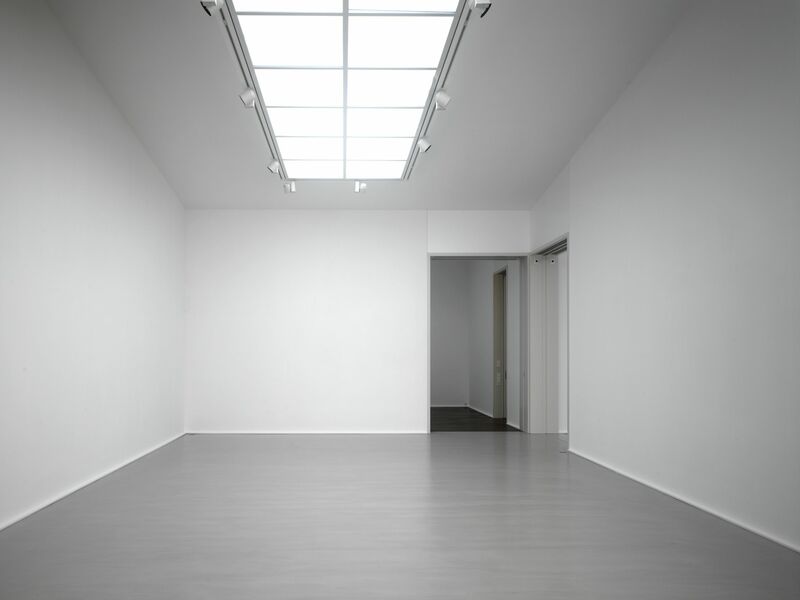 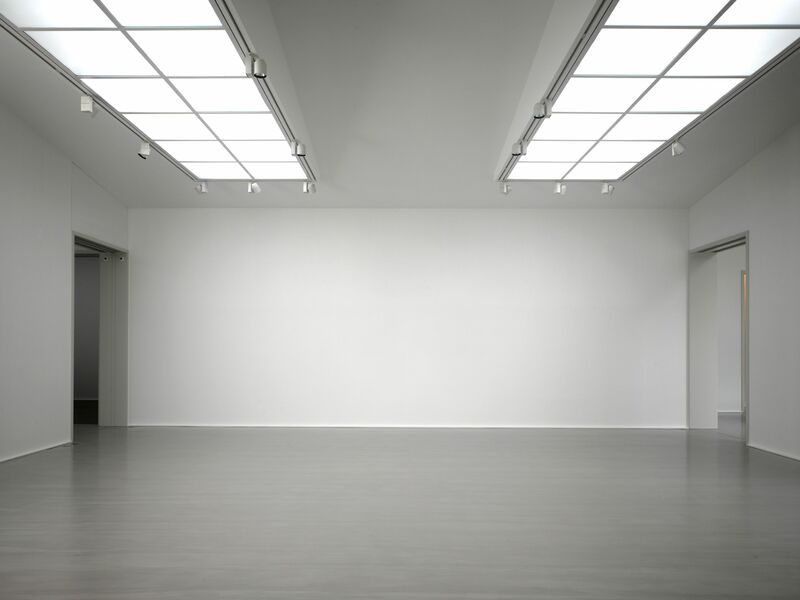 The program called for two exhibition spaces, showroom, library, and offices. 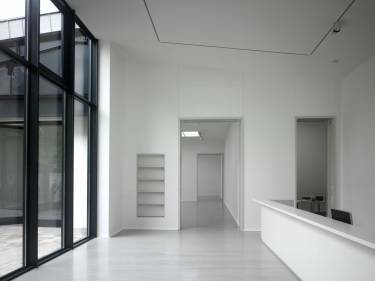 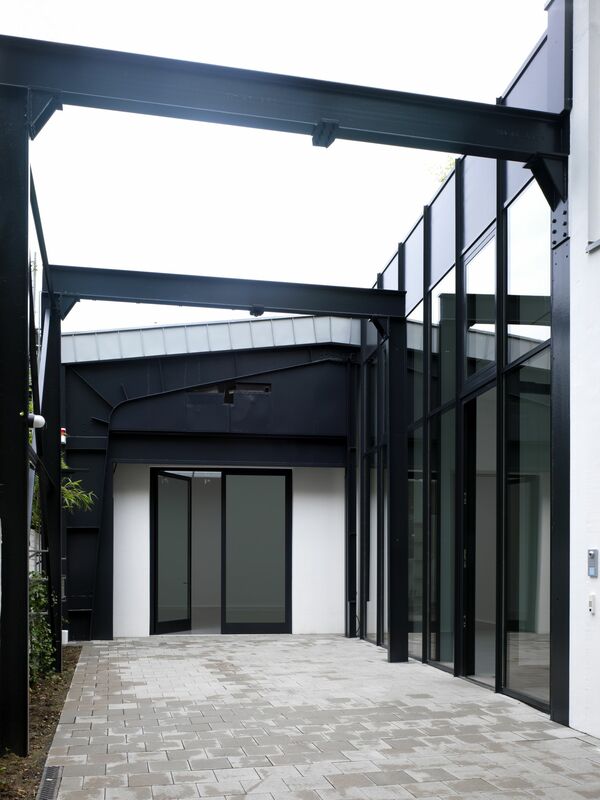 The reception area and the largest of the galleries open directly onto a narrow courtyard that leads to the street. The gallery owner’s private residence is connected to the gallery through the administrative areas along one side of the courtyard. The gallery was designed in collaboration with local firm Steves & Borsum Architekten.